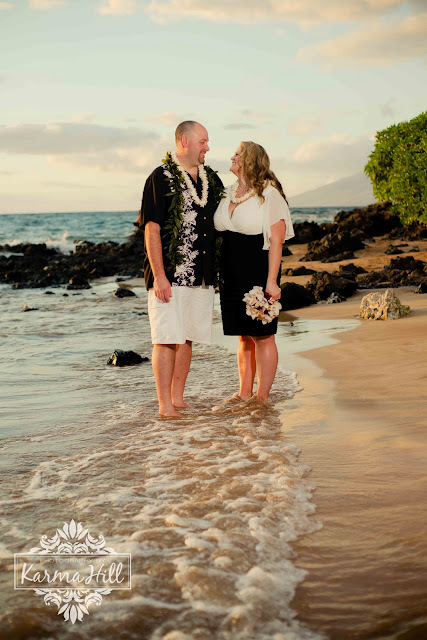 Katie and Adam are from Seattle and wanted to get away to Maui to tie the knot. 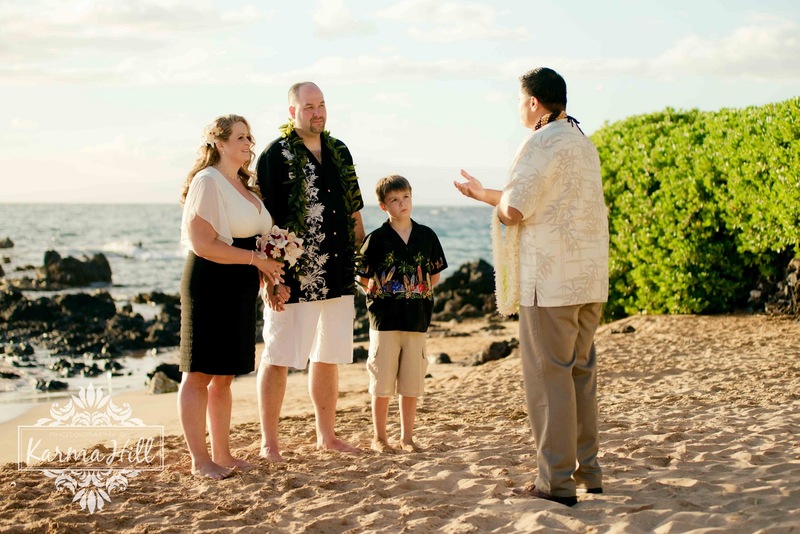 They chose a sunset ceremony at the beautiful Southside beach. 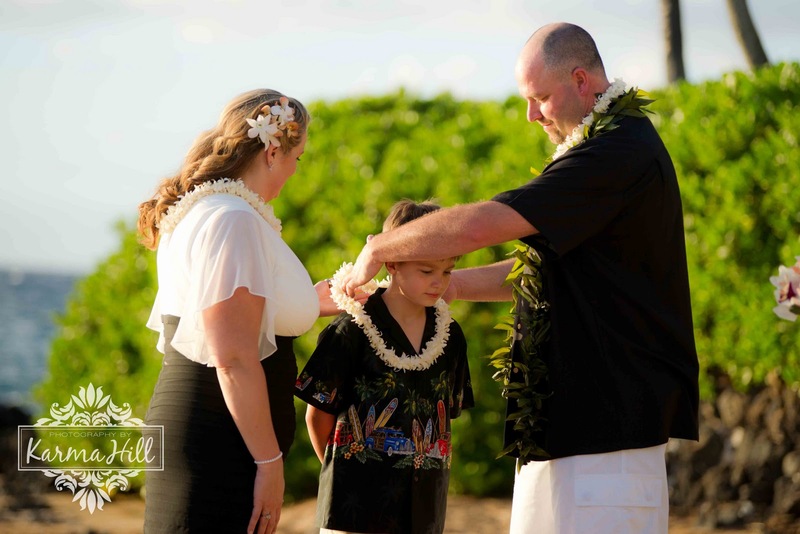 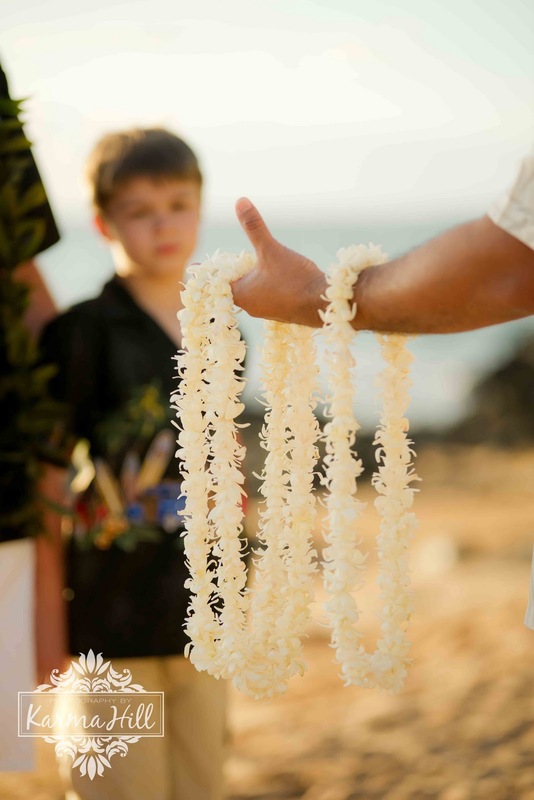 They incorporated their son into their ceremony and made it a special family occasion. 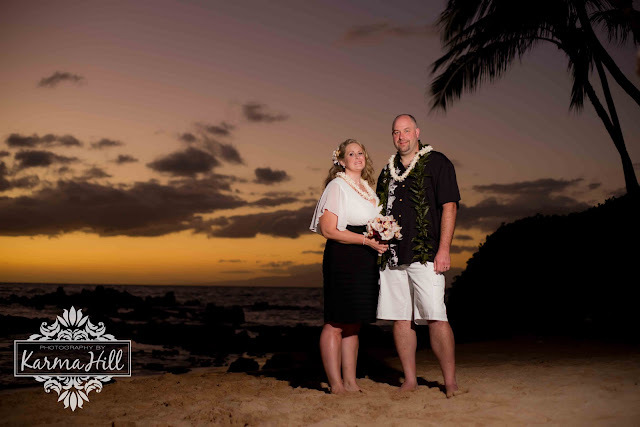 The weather was perfection and the couple was so happy and in love, just a perfect evening! 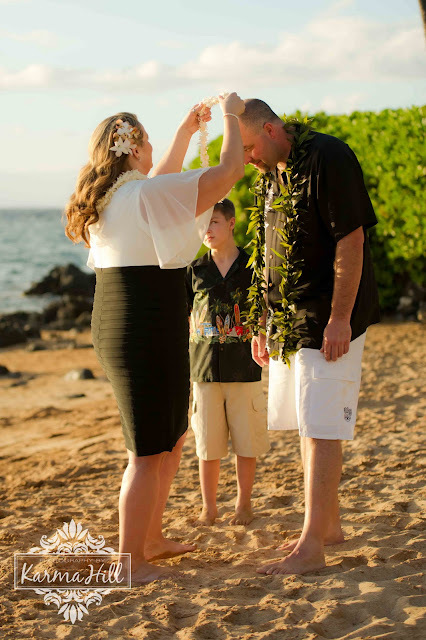 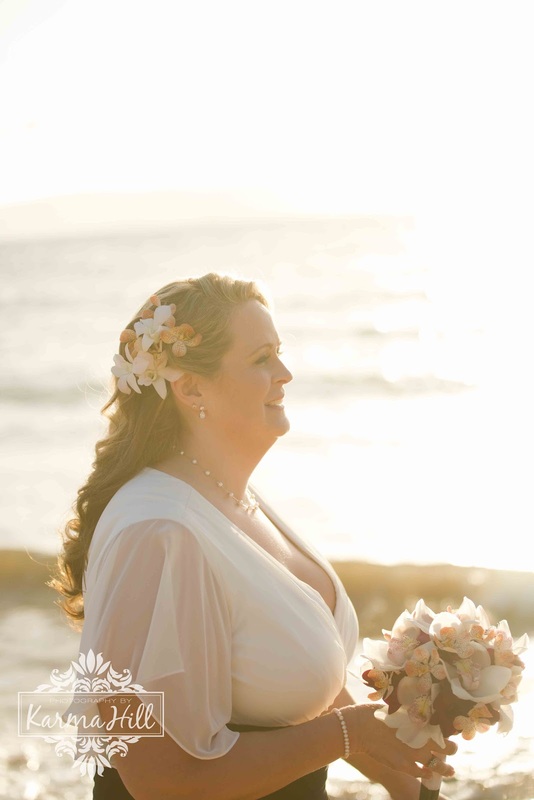 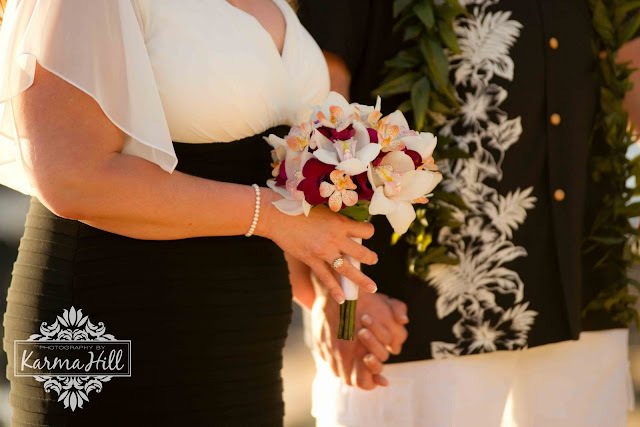 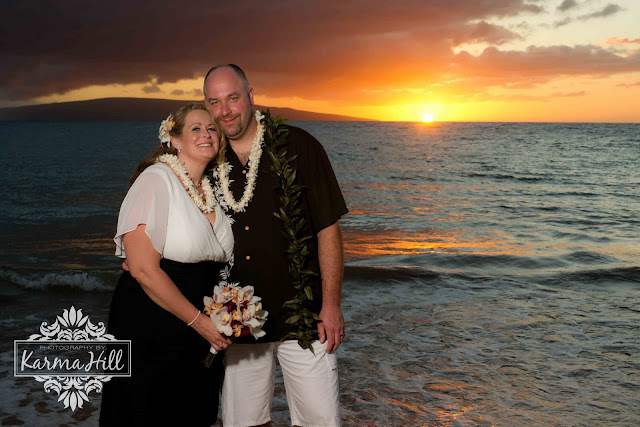 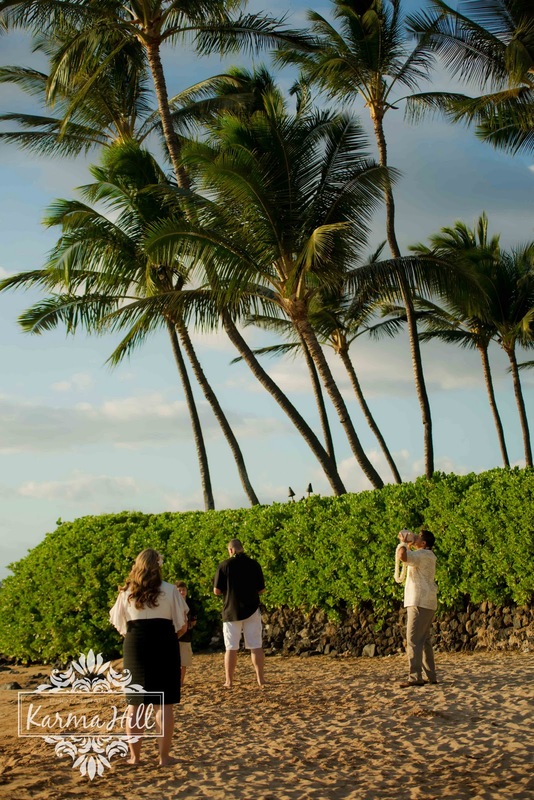 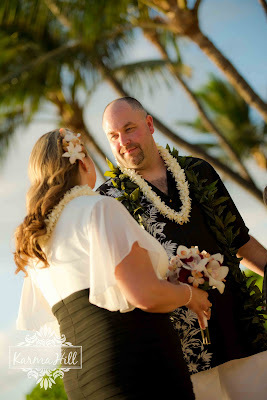 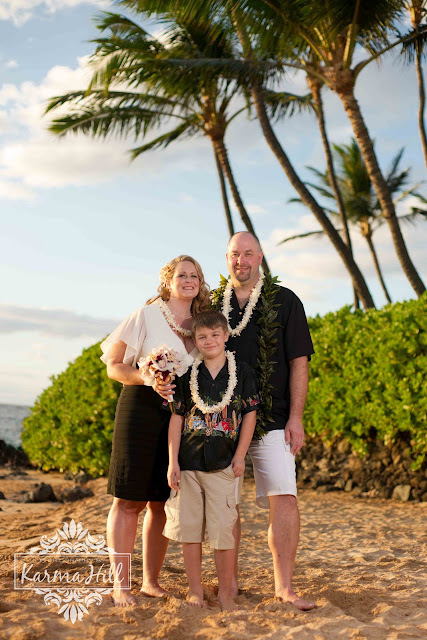 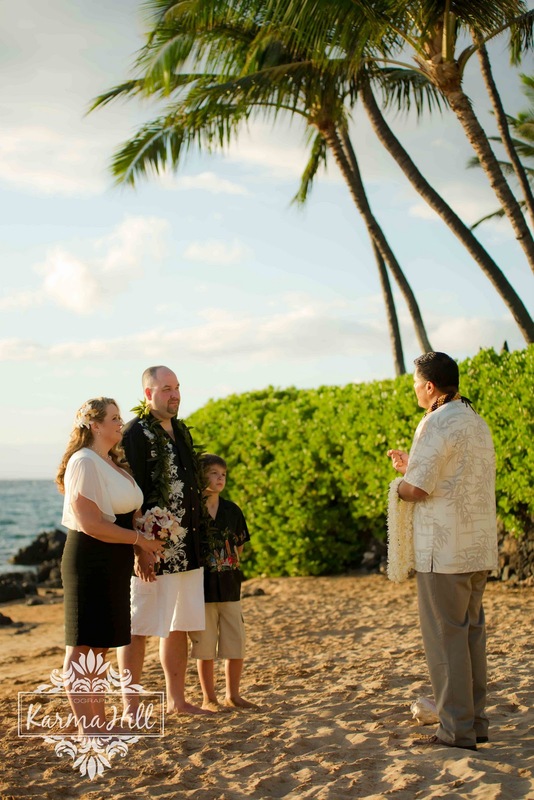 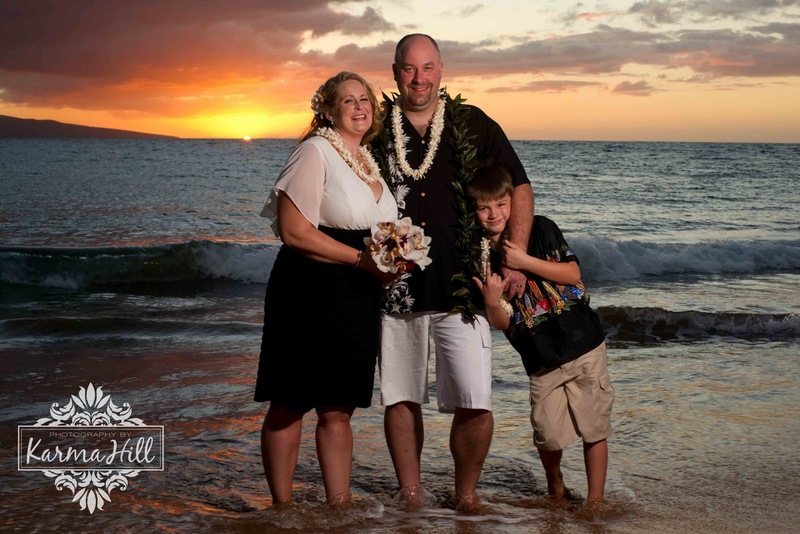 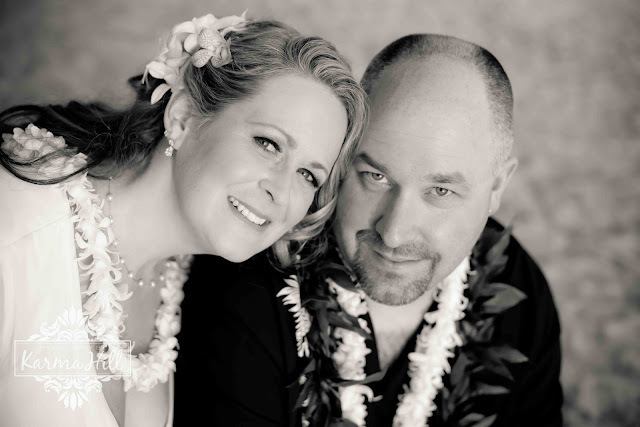 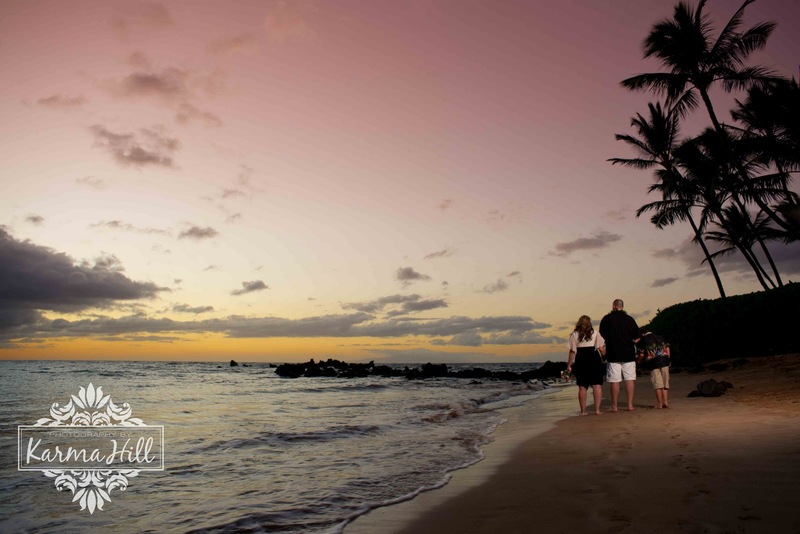 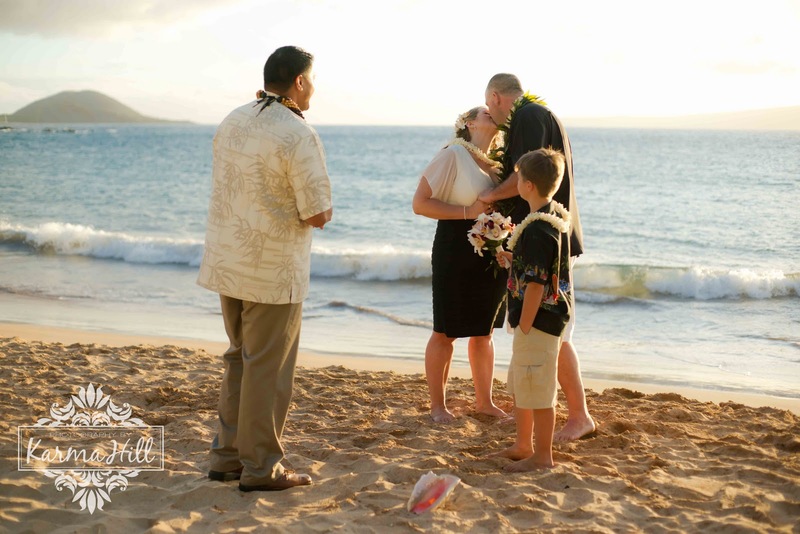 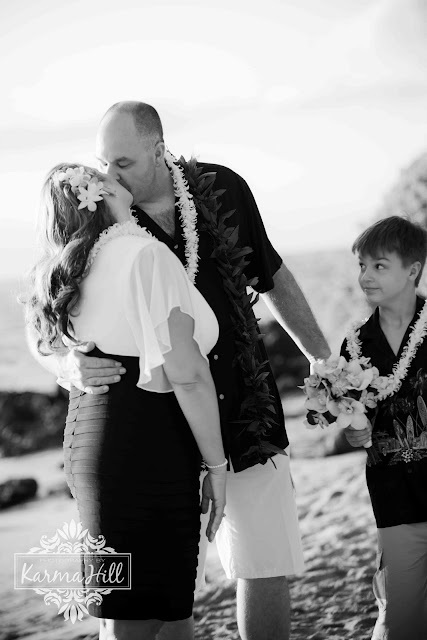 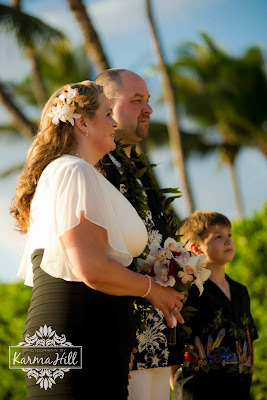 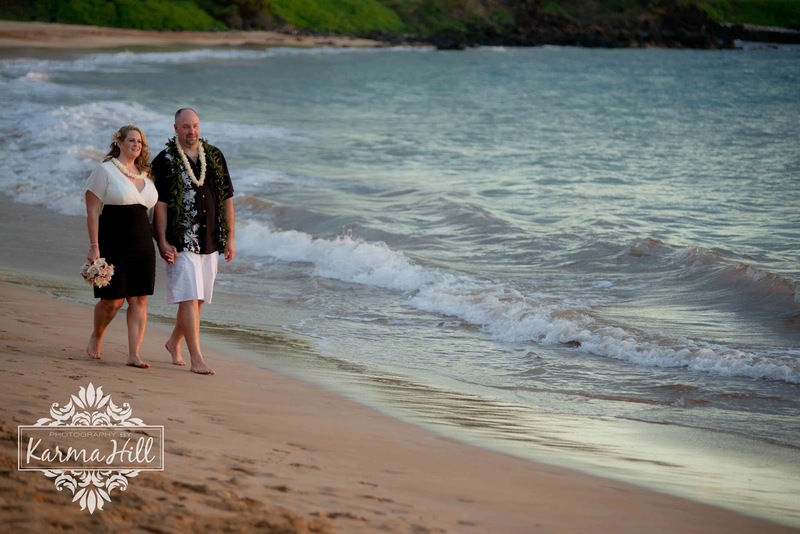 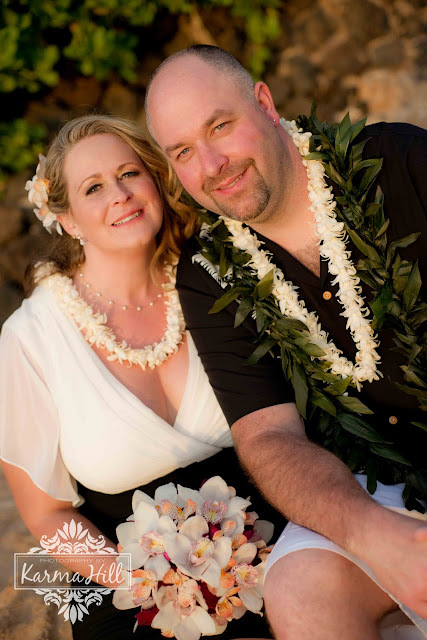 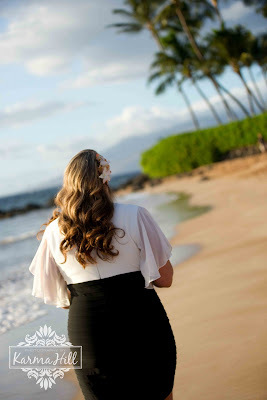 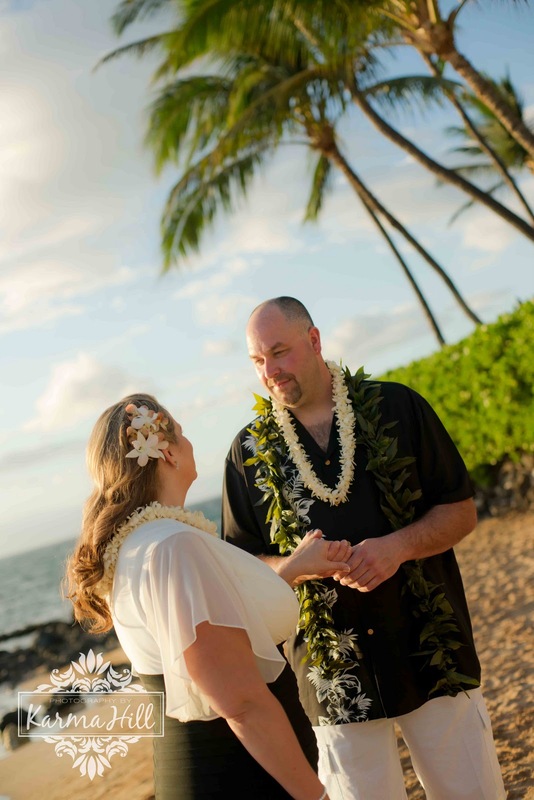 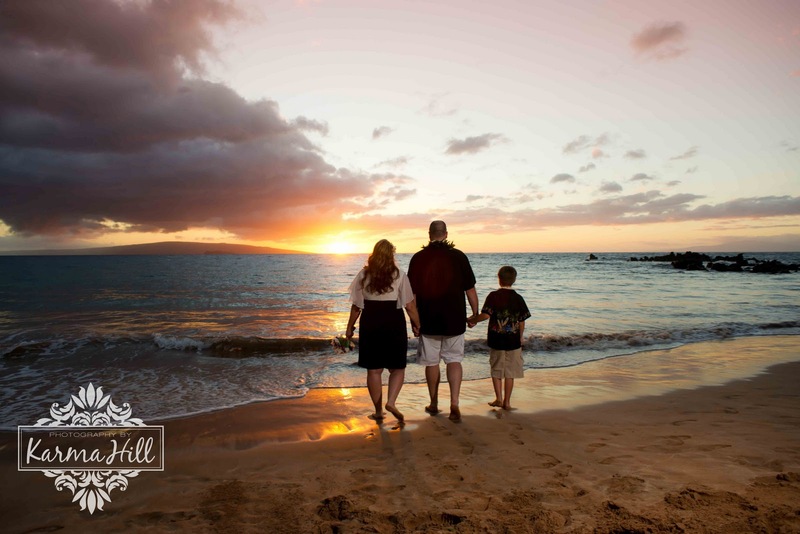 Thank you Katie and Adam for choosing us to be a part of your Maui Wedding!